Offer customers to select free sample products which they can add to cart. 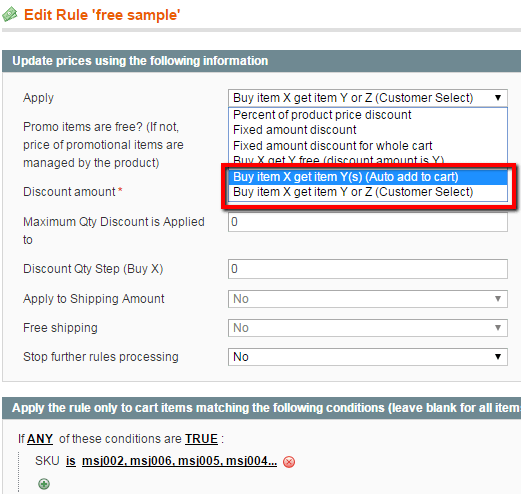 Customer can choose several free sample products as defined by admin based on the order total and shopping cart price rules settings. 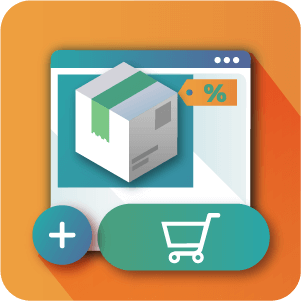 The Magento® Free Sample Promotion module gives customers the option to choose a free product from a list of free sample products and add it to their shopping cart. This extension is a great tool for promoting new products to customers using a free sample offer! 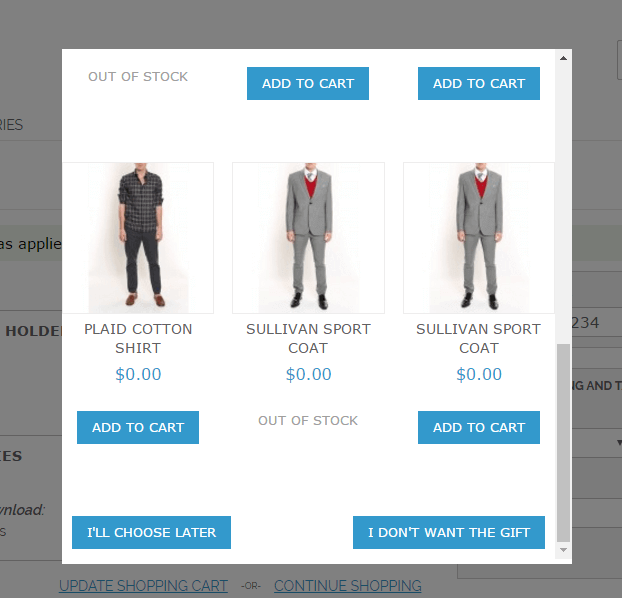 Free product are offered on the checkout page using a popup window. 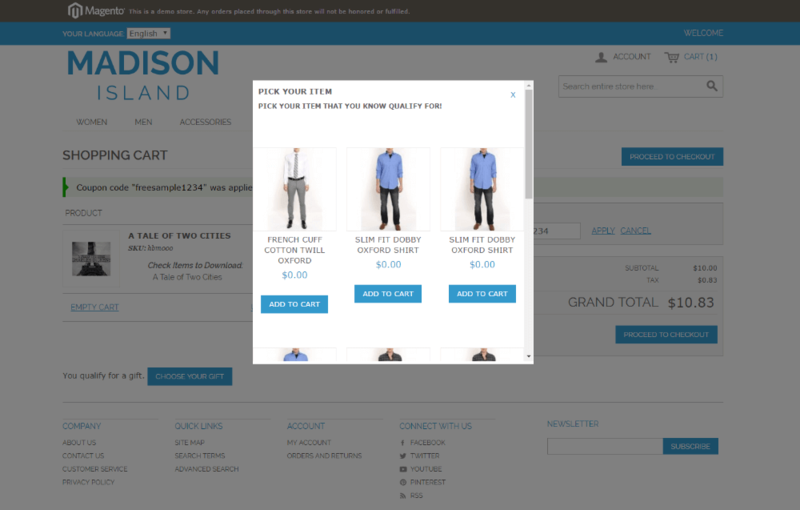 This means that customers do not need to navigate away from the checkout page to add a free item and to take advantage of the promotion. Free products are offered only when qualifying conditions are met (ex: buy any jeans over $50 and get any one of these free bags). 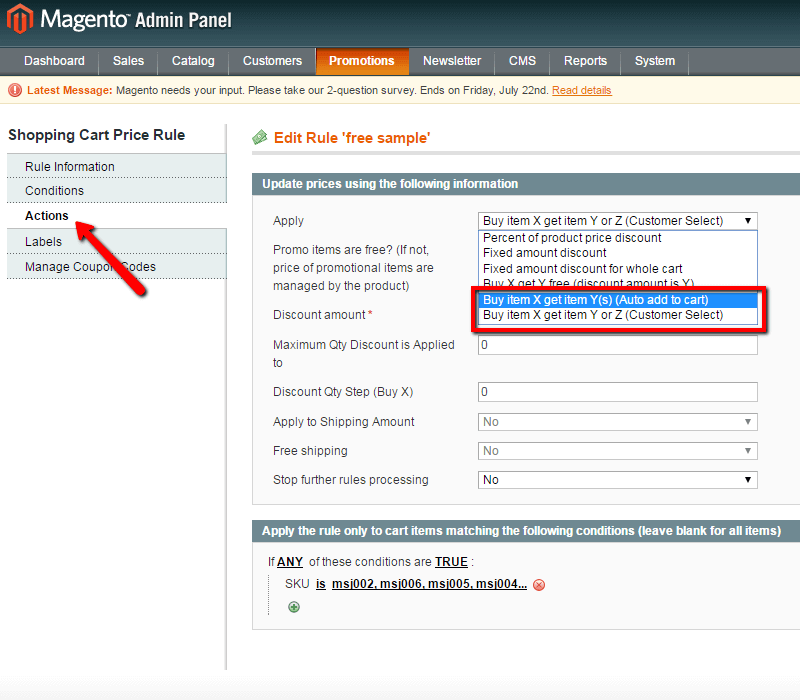 These conditions are defined in the Magento® shopping cart price rules. 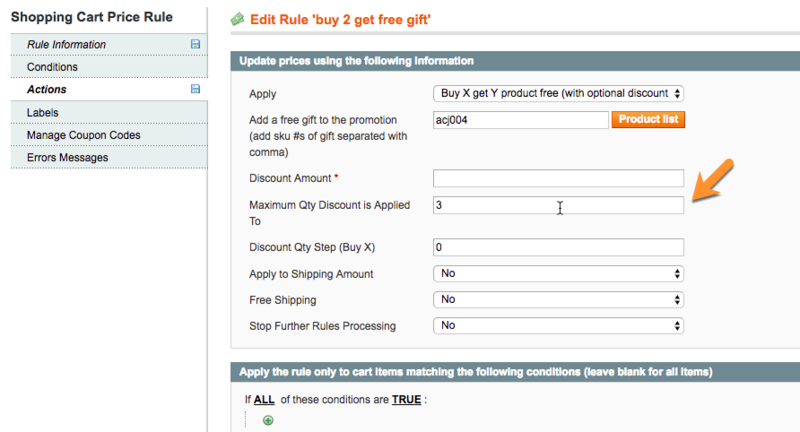 The Free Sample Promotion extension provides the ability to create ‘Buy X, Get Y Free’ or ‘Buy X, Get Y Or Z Free’ promotions that are automatically added to the cart. 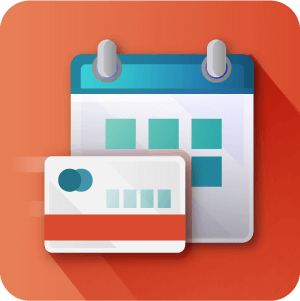 The Free Sample Product module allows an administrator to designate product(s) to be added to the cart or to defined a discount and limit the number of free promotional products provided per transaction. 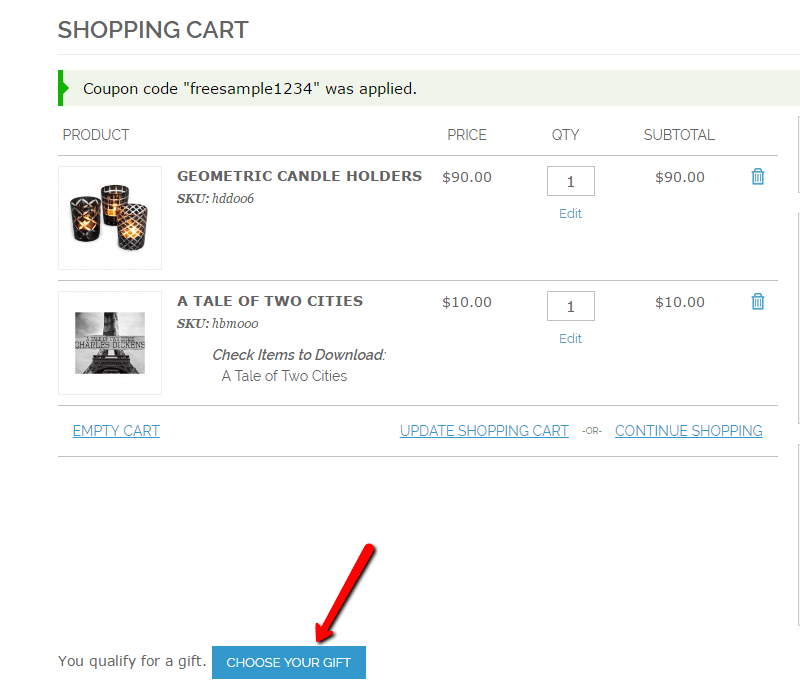 The Free Sample Product module automatically restores the original price for a promotional product if the shopping cart rules are altered after a product has been added to the cart, or in case of choosing the free item, it removes the free sample item if the cart no longer meets the conditions. 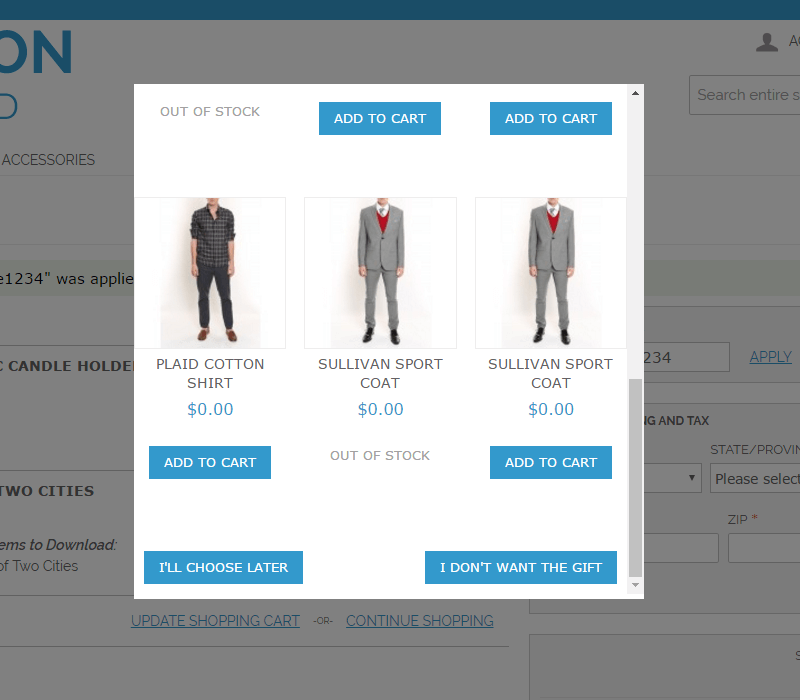 Customer Product Choice – Allow customers to choose which free sample products they want to add to the cart. Product Promotion – Provide free sample of new products for promotional product campaigns. 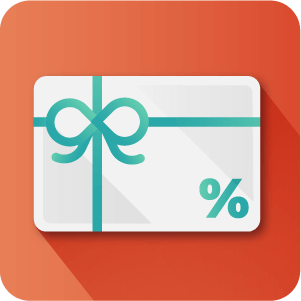 Incentivize Sales – Add incentive to purchase more products and receive free sample products. 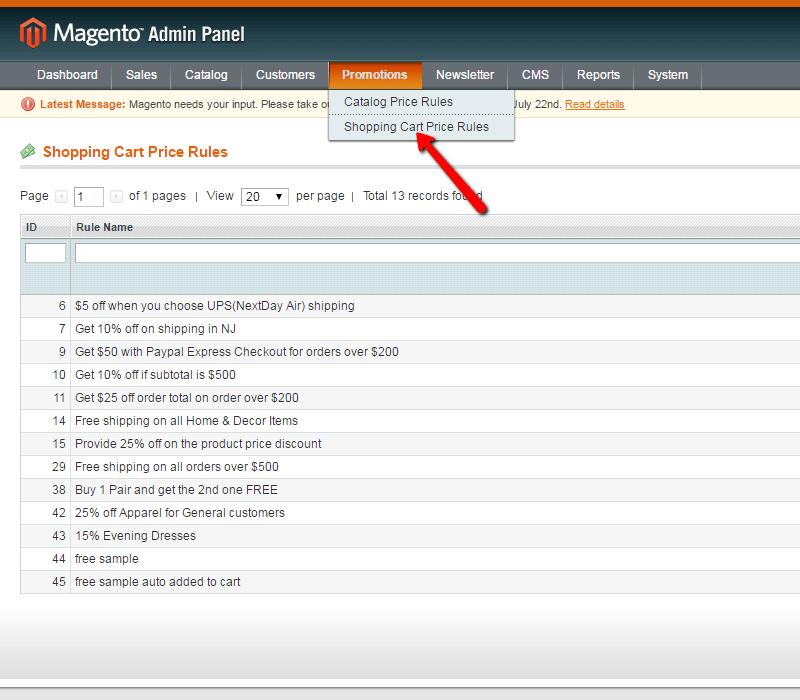 Please check the user guide to learn more about the Free Sample extension. Does this extension allow for specific products to be free samples? Yes. This allows for the Administrator to choose any product within the catalog and specify them as being available as a free product using the SKU. What is the limit on free sample products? There is no limit to the free sample products you can offer and there is no limit on the number of times free samples can be offered. Limits can however be set using it if you only wish to run a promotion for a set amount of time or for a set number of products. Does the customer choose the free sample or is it assigned? The customer can be given a choice of different products or offers or the Admin can just choose one thing to offer them. What is the incentive for people to buy more products? 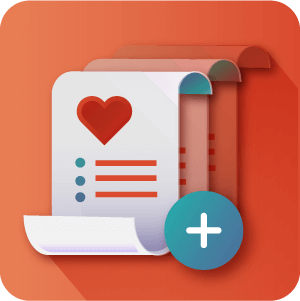 Customers may be incentivized to buy more products by requiring customers to spend a specified amount or to buy a specified number of products to obtain a discount or free sample product. Free samples also allow customers to try something that they might not have considered buying before to later buy the full product. 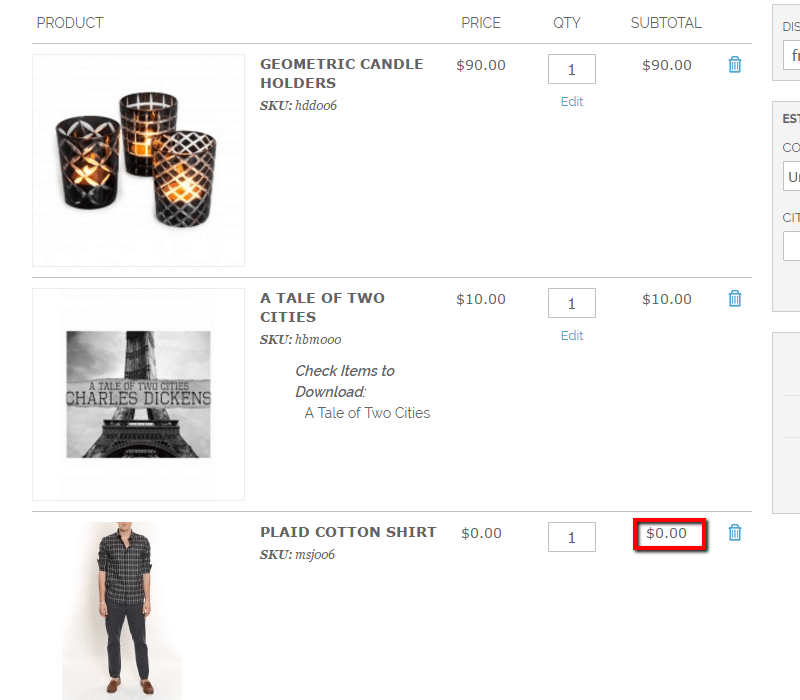 How are the promotions added at checkout? They are automatically added to the shopping cart and treated as a normal product, but with a special price (and optionally without shipping costs). Is there a limit to the number of free products per transaction? There is no limit to the number of free products you can add per transaction. The only limit is that which you set.